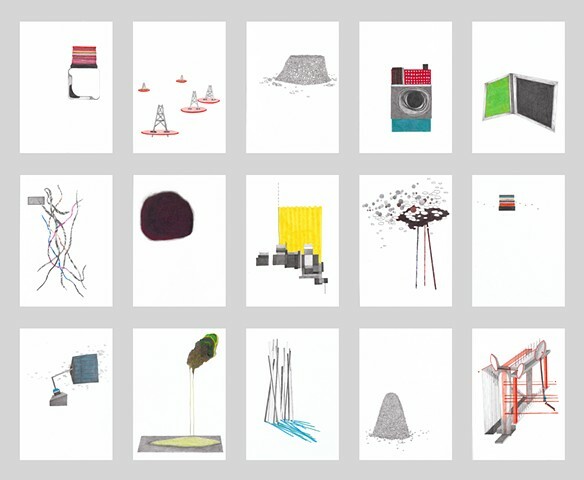 Kristina Paabus - Inventory of the surroundings in between. Inventory of the surroundings in between. Graphite, color pencil, marker on paper. Made while at SÍM Artist Residency in Iceland.